A quick post to show some recent work. Unfortunately bad photos taken on my phone. 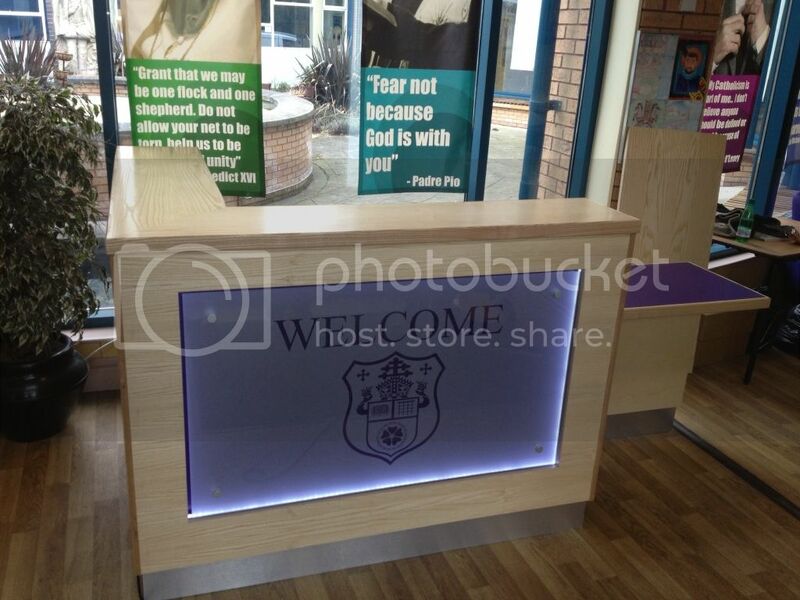 School reception desk from concept to completion the sizes needed to change so looks out of proportion. Boardroom for our client, all book matched walnut veneer with 7 coats of 40% ac lacquer. Loving the photobucket app on the phone. Have a look at my facebook page and leave a comment or two. Nice work Mark. It looks very impressive with the lighting. Hows work, are you still busy? 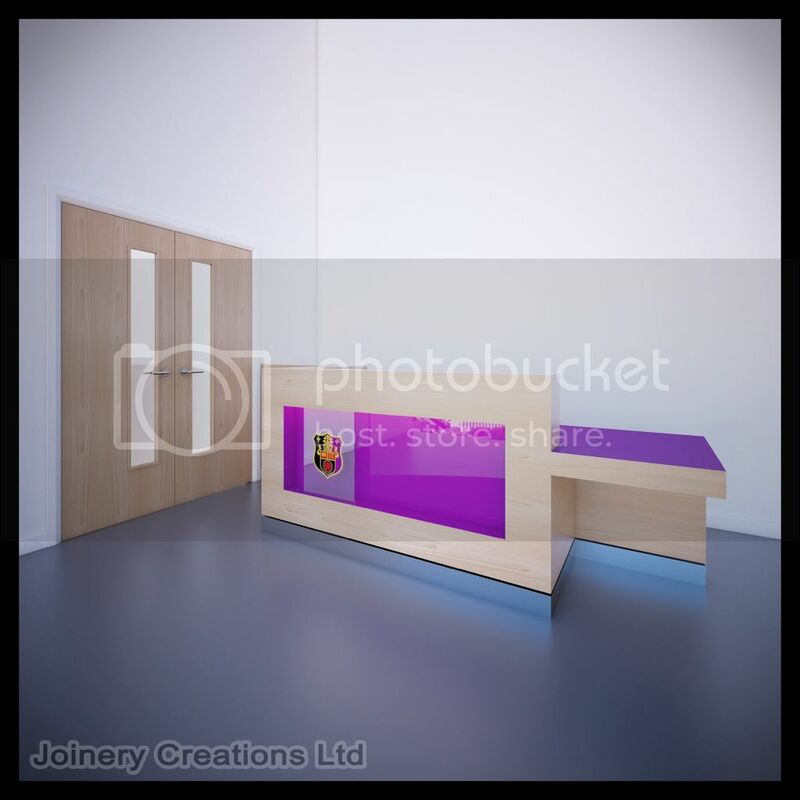 That boardroom table looks very impressive Mark - did you spray it in house or sub it out? 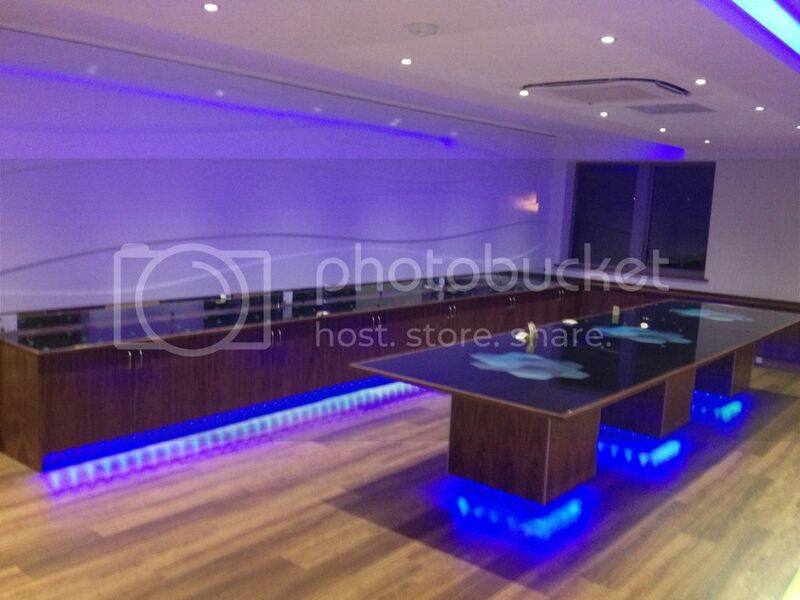 Very impressive, the photos make the table look like something off Star Trek! promhandicam wrote: That boardroom table looks very impressive Mark - did you spray it in house or sub it out? Steve I'd love to string you along but it's black glass, very effective though. Matty - work is a bit manic again we have a new client on board whom are giving us lots of work similar to the nandos lot - but bigger. I am making a point of taking photos of all our work or least trying to! mark270981 wrote: . . . I am making a point of taking photos of all our work or least trying to! 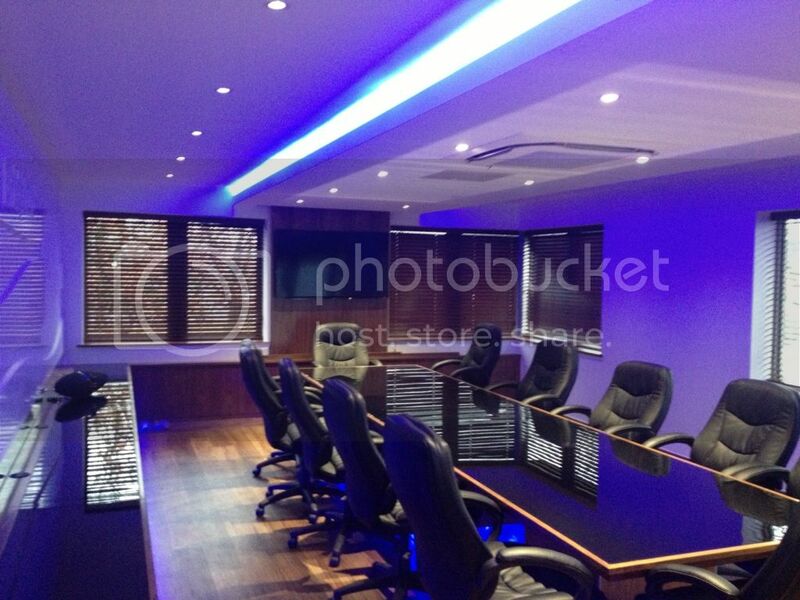 Good work Mark - boardroom table in particular looks great.